Mix all the ingredients.place it in fridge for a least one hour. 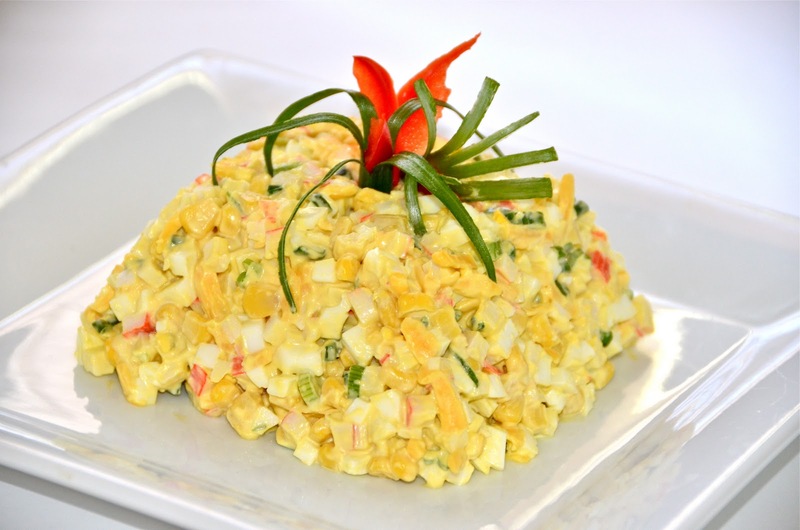 crab salad i love to try it. This picture is so tempting, how I would love to have a scoop of this salad. When I lived in Florida, we used to have this type of thing for breakfast-yum!Also I wanted to let you know that in order for someone to be in Foodbuzz and comment directly on your blog, your comment format cannot be chosen as embedded below post..hope that helps. I had to go out of foodbuzz to put this here. Enjoy the day. This looks delicious – and your presentation and photo is stunning! I'm allergic to crab….but WOW! I wish I wasn't! Waw…Looks delicious!!! I love the presentation.